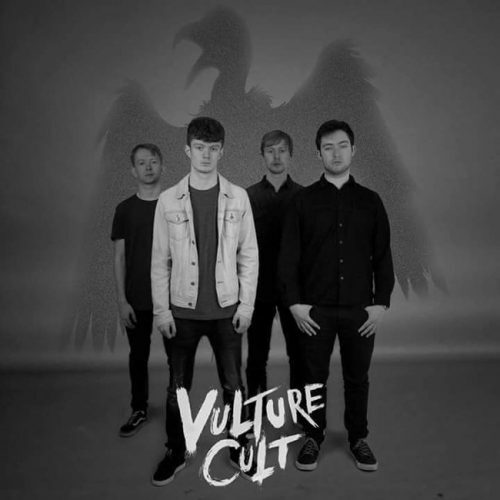 NERVE takes a closer look at local band ‘Vulture Cult’ and finds out what makes them tick. Details of where you can catch them online and over the coming weeks appear at the end. Rob Lewis interviewed Andy Hinton, vocalist and rhythm guitarist, earlier in July 2017. Photos of the band playing by Lorna Gibson. RL: Hi Andy, so, tell us how did you come up with the name ‘Vulture Cult’? AH: It’s really an expression of what the band is about. It sums up what drives the lyrical basis of the band. We’re very much interested in writing and performing songs that explore social situations, personal relationships and other aspects of human life that can bring out the best or worst in us. Y’know the vulture is often seen as a negative, slightly evil bird that will circle and come after you when you’re down. In ancient Middle Eastern cultures, though, they thought of them as angels descending from heaven. In those cultures they worshipped vultures as sacred creatures. All of this is in the mix, so, yeah, that’s how we came up with the name. RL: Tell me more about the band, what musical influence are at work in the band, who’s in it and how did you get started? AH: The Band is made up of myself on guitar and vocals, Mike Jones on lead guitar, Duncan Morrison on Bass and Steven McCarroll on Drums. 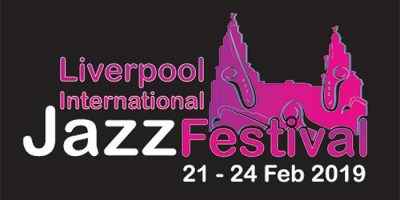 We got started because we were all friends and were studying music at City College in Liverpool. We just got on, had a laugh together and loved playing music. We’d all played in various bands but over the course of a year or so we played together a bit more and gradually decided to take things more seriously and form a band. Our influences are wide and varied, really, from 60s and the whole Merseybeat thing to extreme metal, classic rock from the 70s and 80s to the Blues and also Electronic music. Some of the more current bands we are big on that people may know are: Royal Blood, Queens of the Stone Age, Kyuss and Tool. RL: So, how do you make decisions and work together as a band in ways that ensure you don’t fall out and everyone is happy with the direction things are going in? AH: Basically, we try to be as democratic as we can when we’re taking big decisions. But, in the main, we’re all mates first and foremost and we love what we’re doing. So, we try to keep that as our focus and not let ego drive things. Instead, we focus on working to get out there, staying true to what we’re about and letting our music do the talking for us. RL: What advice would you give to anyone thinking of becoming a musician, I mean, what do you say to the bedroom player or the person thinking of doing a course in a local college as you did? AH: There’s nothing wrong with being a bedroom player or jamming with your mates, it’s great fun and you can learn things that way. On the other hand, if you want to take it to the next level and are considering life as a professional musician, then, formal music education and college is a very good route to take. I’m a big believer in the benefits of music education; I think the others in the band would say the same. It’s like a bricklayer has to learn how to mix cement, use certain tools and techniques and spend time practising before taking on jobs and being paid for them. It’s the same with music; and, at college you learn how songs work, how to mix things and put things together. You also come into contact with professional musicians who teach and guide you. These people all have degrees in music and it’s not by accident that they are some of the best musicians and teachers in the world. They’ve taken time to educate themselves as musicians and worked at it, stuck to it and got there step by step. Y’know, I don’t think of myself as this talented person, I think of myself as someone who has worked at it and improved my understanding and ability over the years. Ultimately, it’s your commitment to becoming a great musician over time that counts. Don’t give up just keep working at it but work at the right things. RL: What about the music industry, some people say it’s all stitched up with just three or four big labels dominating everything and unless you sell out and do what they want you’re just not going to ‘make it’; what do you think about that? AH: Well, there’s some truth in what you say but there’s a lot to consider here as well. I mean, it depends what you mean by ‘make it’ as a band or solo artist. You can make it as a musician by playing gigs but also doing some teaching, producing music or just working in a music shop and I’ve done all of these things. As a professional musician, just starting out, these diverse activities mean I can keep doing what I love but in different ways. It helps you to see the industry from different angles and feeds into the way you work and perform as a band too. The big labels can be a problem but you have a choice. You can go with them if they’re interested in you but you know you may have to sell out from time to time. At the same time, though, if they want to sign you it’s because they think you’ve already got yourself sorted, your sound, your ethos, your image and they buy into that, so they probably don’t want to change you as much as you might think. The other option is the social media and internet in general sort of route. This is the route we’ve taken really and the route many bands are taking now. There are plenty of independent labels out there on the net, YouTube and Facebook are also ways of getting yourself heard and more widely known. The thing is you’ve got to find your own style, your own way, you have to be clear what the band and your sound is about and then focus on that as you present yourself and your music to people. It’s a process and it can take time to get clear about who you are and what you’re about as a band, as musician and artist. RL: So you and the boys in ‘Vulture Cult’ have been gigging a lot recently, any particular moments that stand out or funny stories to tell? AH: Yeah, there are some funny stories but I can’t repeat them here, well, they can’t be made public without permission or the other lads would kill me, (ha, ha). But, err, our last gig in Wrexham went well. We just seemed to gel as a band, we played really well, the crowd were responding well and it all just clicked. You know moments like that are just amazing, it’s kinda what it’s all about really. When you play well and the level and quality of interaction with the crowd goes up it spurs you on to give it your all, give it your very best and it’s just great. I suppose the other gig that stands out is when we supported Magenta at the Citadel in St Helens. That was a much bigger venue and a bigger crowd than we’re used to. It was a fantastic experience, though, again the crowd really played a part in bringing out the best in us there as performers. That gig really gave us an idea of what we might be working towards, we were really grateful to the Classic Rock Society for giving us that chance and for supporting young and upcoming musicians in general. We did learn a little something from that one as well. We had a problems with strings breaking and quickly found out it’s so important to take a spare guitar when you gig. Changing strings under pressure is best avoided if possible [lol]. RL: Finally, Andy, can you just give us some details about where people can hear your music or get to see you play? Some new music to be released online shortly. Previous Post: Fireweed* – Your Garden is not a Climate Change Denier!